I’m headed to New York for a week’s worth of auditions and meetings. It’s going to be 39 degrees while I’m there. So, yes I have broken out the warm coat and boots as well. Yikes. Tomorrow, I will be meeting with the Scenic Designer of JACOB MARLEY’S CHRISTMAS CAROL, Steven Kemp, with whom I’ve been working for months and have not yet met in person!! 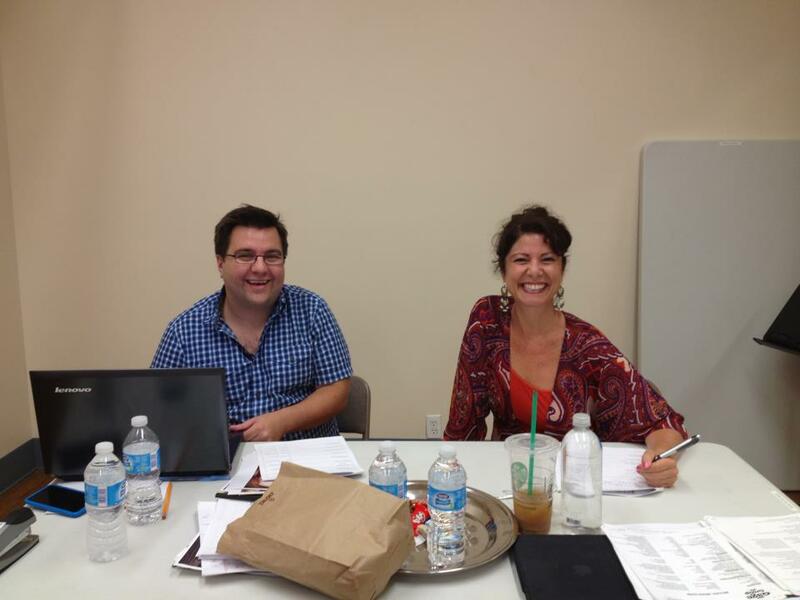 Following that, our first auditions for ALL MY SONS on Tuesday and Wednesday, with our casting director, Michael Cassara. Thursday, I’m excited to begin work on our co-production with Capital Repertory Theatre on our production of THE GOD GAME. This is a World Premiere, a first for us, and a first for me in many ways. Auditions are being handled by Capital Rep’s casting director, Stephanie Clapper. Maggie Cahill, the Producing Artistic Director for Capital Rep, will be present, as will the Playwright, Suzanne Bradbeer. I have not yet worked with any of these women and I’m looking forward to jumping in. As I write that sentence, I am overcome by a wave of gratitude that it will be a room full of women bringing this new play to life. (Even our stage manager is female.) It was not that long ago that this would never, could never, have been the case. In the Theatre business, we get used to working with “dead people” and by that I mean dead playwrights. That means, we have to often make up the “reasons why” that are not in the script but that dictate the behavior of the character in the moment. And yet, we do our best to bring the playwright’s world to life, to realize his or her vision to the best of our abilities; which is often, admittedly, in a vacuum. It is a pleasure and a privilege to be able to work directly with the playwright on a piece. To be able to ask Suzanne “why” directly and get the actual answer, and then construct what was her hope, her vision, her intention, in the rehearsal room and eventually onstage will be an honor. And what’s more, to bring this thought-provoking piece to life for the very first time???!!!! What a joy. It is my hope that we will do it every bit of justice and that we will do Suzanne proud. She has put an enormous amount of trust and confidence in us, and in me, and I will do my best to realize her vision to the best of my ability. Even more exciting is the unique opportunity to produce this play in two locations. Since it is a political play, focusing on a Republican Senator, and the separation of Church and State, I’m sure it will be eye opening for both Suzanne and myself to see the reception this play receives in Naples, with a largely conservative audience, and then in Albany, with a largely liberal one. So, back to auditions. It is incumbent upon us to find the perfect cast in a relatively short amount of time. I’m so used to being “on my own” in the audition process, that it will be fun to work on this show as a team and work toward consensus. Auditioning is an interesting thing: I feel as though I can tell within the first 30 seconds whether that actor is the actor for me. But sometimes I let my brain, or other mitigating factors get in the way, and end up lamenting over what my heart probably knew in the first place. There’s so much that goes into it that probably a lot of people don’t realize: Are they the right age? Are they the right height? Are they a good match with the person playing their wife, their, brother, or their cousin? Does he or she envision the character similarly to my vision? Does he or she seem to be a team player, someone with whom spending three weeks of rehearsal will feel like joy? And most importantly, are they talented? I have heard that there are directors who are very terse in the audition room, sometimes stating things like “remember that I am the director and you are the actor.” Some directors, I’ve heard, talk or eat during auditions. I am not like that. I am so grateful to these actors who’ve sometimes tromped through rain and snow, or spent an hour on the subway or flown from Nebraska (not kidding) to audition for me, that I would never dream of being rude or dismissive. If they’re not right, they’re not right, there’s nothing I can do about that, but that doesn’t mean I have to make them feel as though the hour on the train, the 20 minutes waiting, the 2 hours of memorizing and the ten minutes of the audition was not worth anything. It was an exchange of energy. An ability for us to practice our craft together, if only for 10 minutes. And that, in my opinion, is worth its weight in gold. And then the perfect person walks into the audition room and let the games begin. Agent negotiations, contracts, travel arrangements. And before we know it, rehearsal has begun. But not yet. First things first. This week: auditions. Enjoyed reading this Kristen. You’re excitement and enthusiasm for the projects are infectious. Your sensitivity to the playwright and to the auditioning actors is a breath of very good clean air. Kristen…..So often I hear about the audition process but, reading this enabled me to really understand it. In my opinion, your casting has always been right on and I knew it was a gift, but your stream of consciousness helped me grasp all the pieces that need to come into alignment– your head, your heart and your gut. It is nothing short of AMAZING! Thank you for sharing this intimate process.